Living a dull life half lived isn’t what you were put on this earth to do. Maybe it’s time to turn up the color. Wouldn’t it be great if you knew how to deal with life’s complications, if you knew how to solve challenges as they show up and stay grounded when things aren’t going as planned? What if you had the confidence to take full direction of your life, shake fear when it grabs at your heels and step into the best version of you? What if you had the ability to love and appreciate yourself, what if you could be more spontaneous and take a trip away on a whim and feel a calm inside you that you never knew existed? But you’re feeling completely flat, you’re tired of trying everything with no success and you don’t know which way to look. I always thought life was difficult. But it didn’t need to be. Everything in my life used to feel like a poorly constructed wooden boat – sinking slowly into the sea (without knowing how to fix the leaking holes). So I took a trip away from my life, away from University and my responsibilities. I went to Tokyo because I was trying anything to change my life. I was in a fancy hotel one afternoon, I was in my room, and had an overwhelming feeling of being completely lost and alone. I was an emotional wreck, I found myself sinking down to the stale brown carpet on the floor. Sitting there feeling worthless; my work, my relationships – my life – were running away from me. My marriage was miserable and I didn’t even know it. I didn’t want to face my life. But there was a voice, and a spark inside me. I knew I was missing out on the magic of life, if only I could find it, harness it, bring it back into full color. Today, I’m happy to say I’ve transformed. I live aligned with my values, life is balanced. I live in the full spectrum of color, light and dark. I’m not held hostage to my emotions anymore and can take control of my life. I’m more grounded, calm and peaceful. Now, the little things in life feel sooooo good. We put our cars in to be serviced and when the pipes are broken we call a plumber. But when it comes to living a happier life, we don’t often ask for help. We trudge through. What you need is a mechanic for the soul. The change you know you need, is on the inside. A 6-week programme where you’ll work directly with me 1 on 1 and where you’ll be supported and guided, you’ll have more confidence to do everything you want to do in life and live a life in the full spectrum of color. • Imagine if you were free from bad relationships, were supported through the process and had new found independence. • Imagine if you had rock solid confidence, could squash negative thoughts before they sprout and threw anxiety into the unknown. • Imagine if you lived in a state of calm, cool and collected. • Imagine if you had someone you could confide in, who opened your heart in ways you haven’t ever imagined and filled with all the good energy you can handle. When you work with me during the programme this is exactly how your life will be. 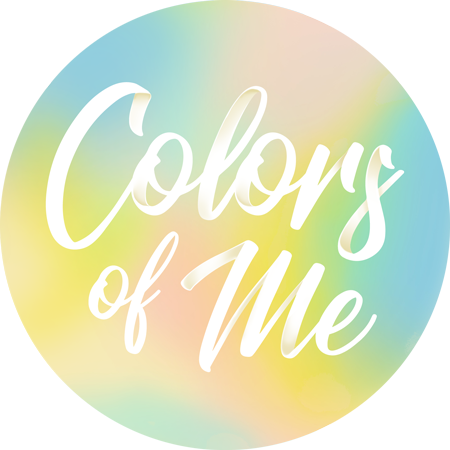 Colors of me is a supportive mentoring program for women who want to live a joyful life, develop their confidence and live life with a fully open heart. 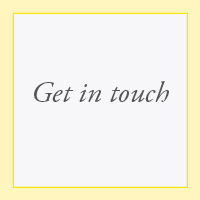 In the programme, you’ll be working directly with me 1 on 1. 3, 6 or 12 intensives with me to dive deep. Unlike other programs I’m not going to throw a video series at you and expect you to do all the work yourself. It’s completely individualised to you, with full unlimited access to me. Depending on the package you choose, you’ll also receive individualised, meditations that are made just for you, and your very own color card pull with messages for you to focus on each week. 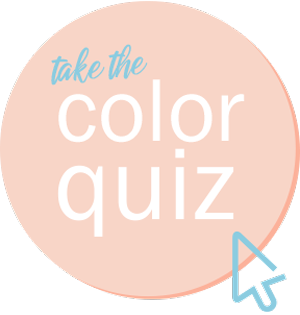 My name is Walaa and I am a color mentor for dedicated women who want renewed confidence, more happiness and better life balance. Consider me your super wise bestie. I work with color and sound healing to create deep transformation. I’ve gone through a very hard period in my life and received so much support and good energy from Walaa. During the Colors of Me program, I found joy and happiness again. Practicing the exercises I learned will from now on always be a helpful tool in my life. Working with Walaa has taught me the importance of self-love and made me appreciate life and color even more. I discovered so many things about myself that I never realized before. Walaa always puts her heart into her work and it really shines through. She is passionate about helping others and that’s what makes her so special. Always ready to help heal and you really see the results. Walaa is amazing. I feel that I am slowly changing on the inside. A change that is so beautiful. Walaa has given the strength that I needed and the ability to love and appreciate myself. Walaa is very enlightened and high spirited. The Color Ways programme was one of the most exciting yet eye/heart opening experiences that’s happened to me. When I finished the program the first time around, I immediately did it again. I highly recommend the color recipe/meditation to everyone I meet. Imagine your life 6 months from now, will it hold all of the possibilities you hope it will? Can you see your life changing drastically without help? In 6 months, a year, 5 years from now will your life change if you don’t do anything about it? See which package is the right one for you. You only have this one life, let’s make sure it’s the best version it can be. The hurt, pain, discomfort, toxic relationships, and fears you feel need tools and techniques to remove and overcome. Your life CAN be everything you want it to be. Since this work is so individualised and 1 on 1 work, I only have so much time available so if you want to work with me spaces are strictly limited. Booking a color reading is the first step. We’ll see if we mesh well together, and then you can choose your package after this first session. Any questions? Will it improve my relationship with the people around me? Yes, as we work on improving your relationship with yourself everything around you will shift too. Will it help me relax? Absolutely. One of the first things you learn in during this program is how to meditate and journal. These tools plus many others will shift your stress levels dramatically. It’s an energy healing technique that uses color and color energies to help your understand yourself better and clear your energy. What if I have to travel during the program’s time? The beauty of this work is that because it’s all online we can work together from anywhere. Working together also means working with your schedule. I do my best to make this program part of your life and make it work for you. Yes, my dream was always to be location independent and as I stay true to you I stay true to my dream. Besides it saves us so much time and is so much more comfortable when you are chatting with me in your Pjs. Do you do the sessions in Arabic? I’m going through a break up, will this help me? Yes, we can customize the program to help you through the breakup with colors hacks and different exercises. Wala taught me how to deal best with challenging situations and how to use my own energy resources. As soon as I allowed the meditations to work, I felt relaxed. I found a calm side in me that I never knew existed. I found something I could count on.